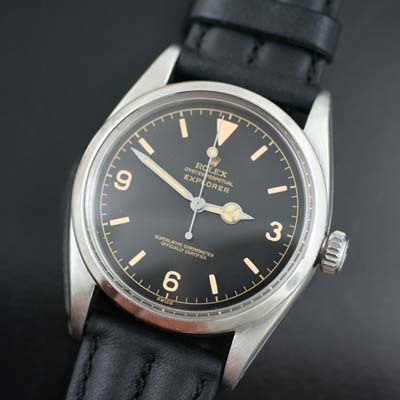 Early vintage Rolex Explorer, Oyster perpetual watch. Fitted with Calibre 1030 movement. Gilt dial watch just serviced by Rolex trained watchmaker. The Rolex Explorer gained fame and notoriety in 1953, when Edmund Hillary scaled Mt. 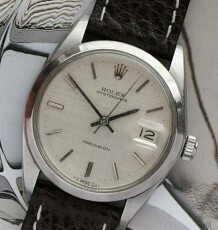 Everest and had, amongst other watches, a Rolex used for time keeping on his expedition. Rolex never missing an opportunity for public relations, capitalized on the adventure and began using Hillary’s accompaniment in a raft of advertising every since. The watch is a Rolex Explorer model 6610, the second generation of what we now know as the family of tool watch Explorers. 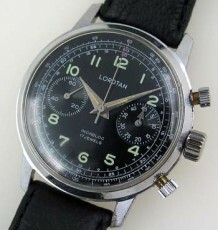 This watch dates to 1956. There have been other watches called Explorer, but most otehrs were clasfied as dress Explorers and not sports or “tool” watches. The watch is fitted with a Rolex calibre 1030 movement which was just serviced by my Rolex trained watchmaker and is keeping excellent time. 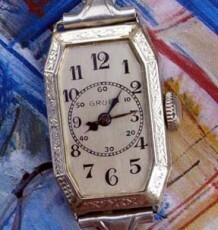 The gilt dial on the watch was just recently restored by a European craftsman and is as it was when it left the factory. 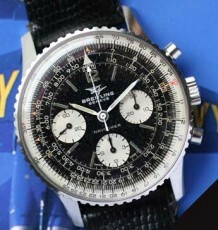 The case measures 36 mm wide and is supplied on a black leather strap.